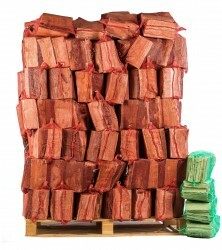 Premier Logs BSL Authorised Briquettes BSL0026602-0001 are produced from 100% locally sourced virgin wood, dried to a moisture content of below 10% these are a very cost effective wood fuel. Our briquetting system produces a high quality, consistent briquette burning hotter for longer creating minimum smoke and very little ash. Our Kiln Dried Softwood Logs are dried to a moisture content of below 20% therefore achieving maximum efficiency and heat output and avoiding the need for seasoning and outdoor storage. 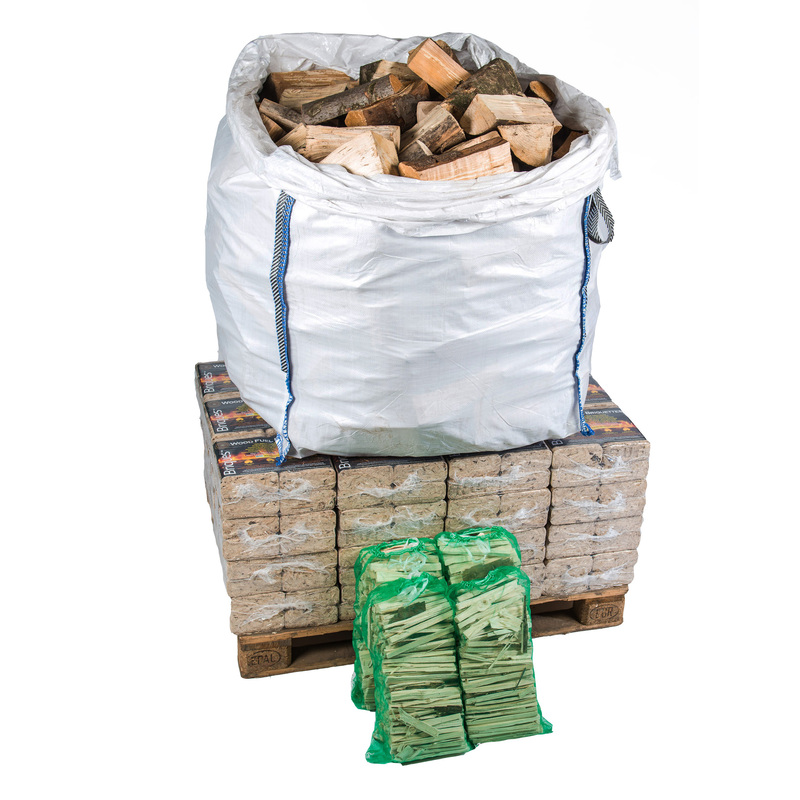 Our Kiln Dried Logs are produced 100% from British Forests and are BSL Authorised – BSL0026602-0002. 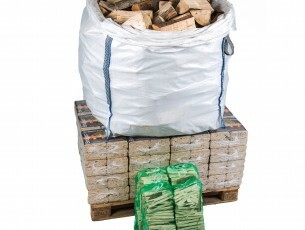 Our Kiln Dried Logs are cut to a standard length of approx 25cm. 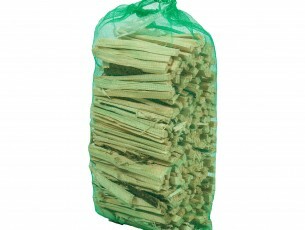 Premier Logs Kiln Dried Kindling is dried to a moisture content of below 20% therefore achieving maximum efficiency and easy lighting, our Kiln Dried Kindling is cut to a standard length of approx 20cm. All are ideal for use on all wood burning appliances (see manufactures guidelines). Free Local Delivery on all local orders over £60.00 to BL1, BL2, BL3, BL4, BL5, BL6 & BL7, BL11 & BL78, PR6 & PR7, WN1, WN2, WN3, WN4, WN5, WN6 & WN7. Order online or over the phone – ring (01257) 475914 – Open 7 Days – (Sunday til 1.00pm). Order Collection is also available – order online and choose the click and collect option or ring us on (01257) 475914 – place your order over the phone and collect at a time that suits you – Open 7 Days – (Sunday til 1.00pm). 2 Day Economy Delivery to UK Mainland on all nationwide orders over £60.00. Please check Delivery and Collection Information for details. Free Local Delivery on all local orders over £60.00 to BL1, BL2, BL3, BL4, BL5, BL6 & BL7, BL11 & BL78, PR6 & PR7, WN1, WN2, WN3, WN4, WN5, WN6 & WN7. Order online or over the phone – ring (01257) 475914 – Open 7 Days – (Sunday til 1.00pm). (Cash on delivery only if order placed over the phone). Order Collection. Order online and choose the click and collect option or ring us on (01257) 475914 – place your order over the phone and collect at a time that suits you – Open 7 Days – (Sunday til 1.00pm). We will contact you when your order is ready for collection if ordered through the website. (Cash on collection only if order placed over the phone). First experiences of this product are excellent. 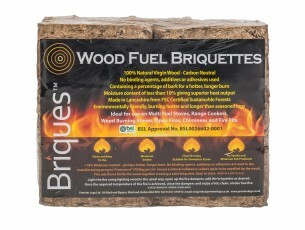 The Briquettes light easily, and then burn steadily with an excellent heat output, and good burn control. 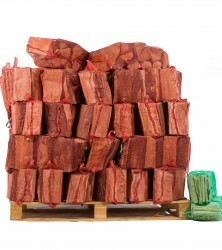 A single briquette will burn for up to 90 minutes, before collapsing into fine, white ash. The delivery service was excellent, with great communication, fast delivery, and outstanding help from the truck driver when it came to the truck driver off-loading the pallet into our store.